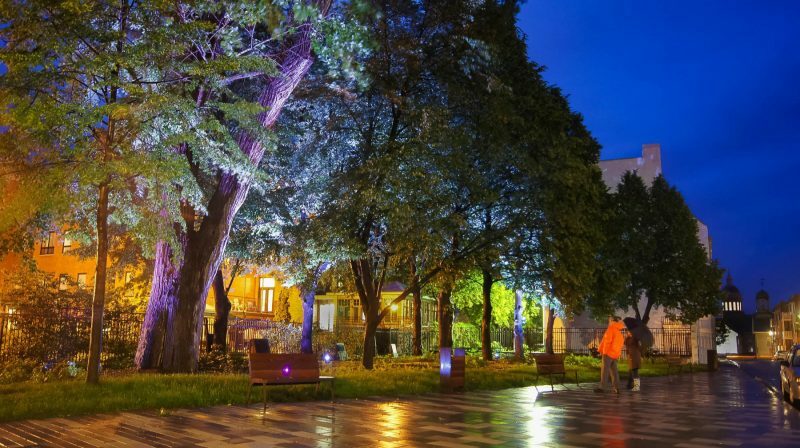 As part of the revitalization of downtown Trois-Rivières, the Platon Park, the founding site of the city, has benefited from a major retructuration. 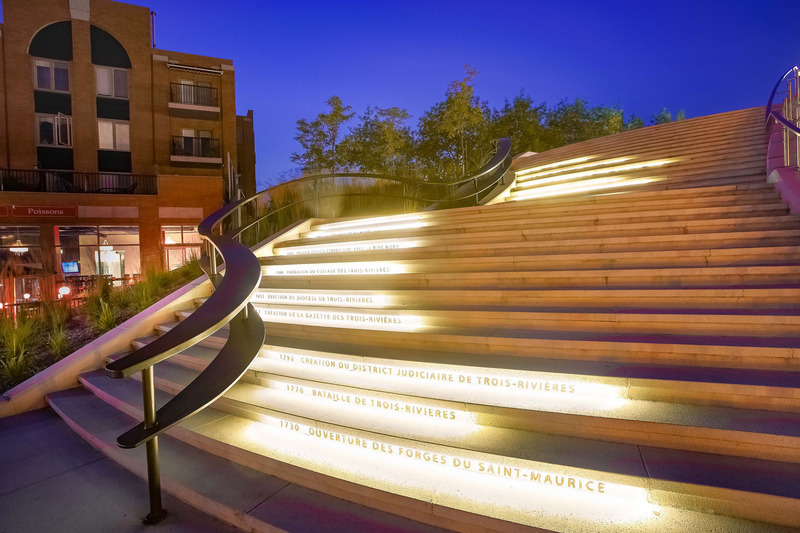 A monumental, curvilinear staircase depicts the park and connects the historic district with the St. Lawrence River. 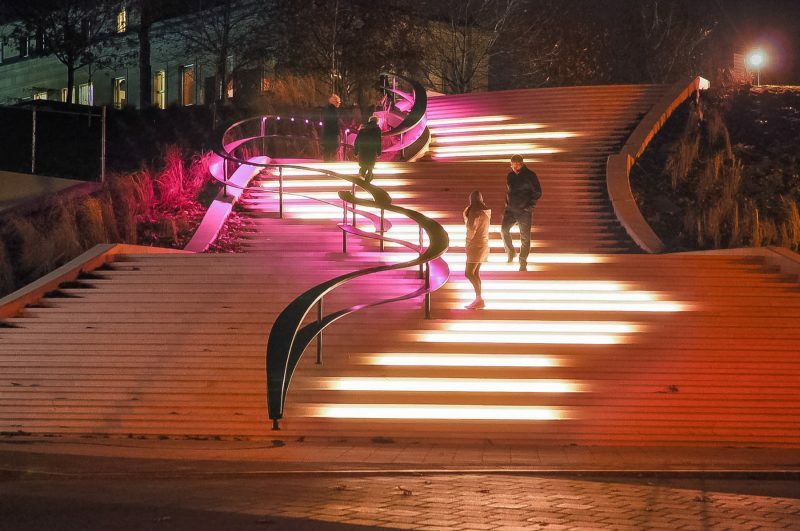 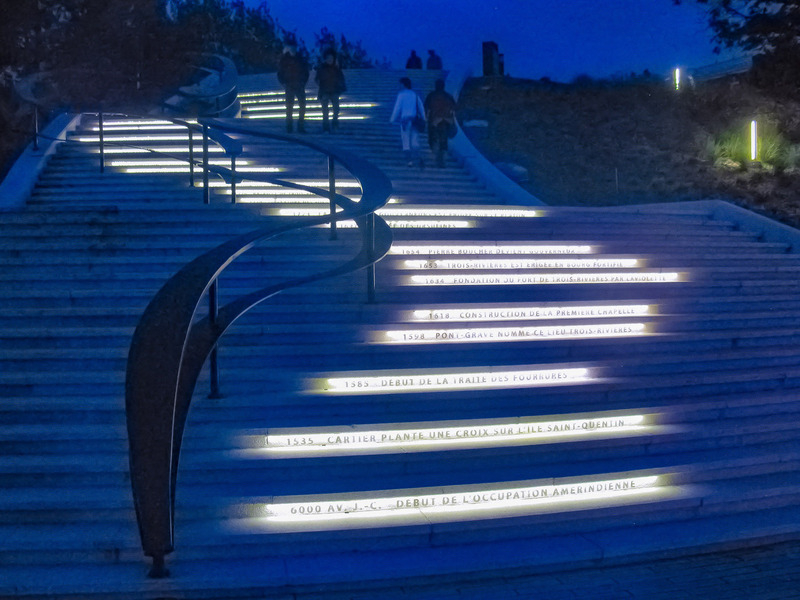 The soft and original lighting of the staircase, with the history of the city engraved on the counter-steps, was awarded the Exterior Lighting Award of the Illuminating Engineering Society-Montreal 2013.